Here is a world unique from any other. At Outside Initiatives, horses teach us about the quality and service you expect from a leader. 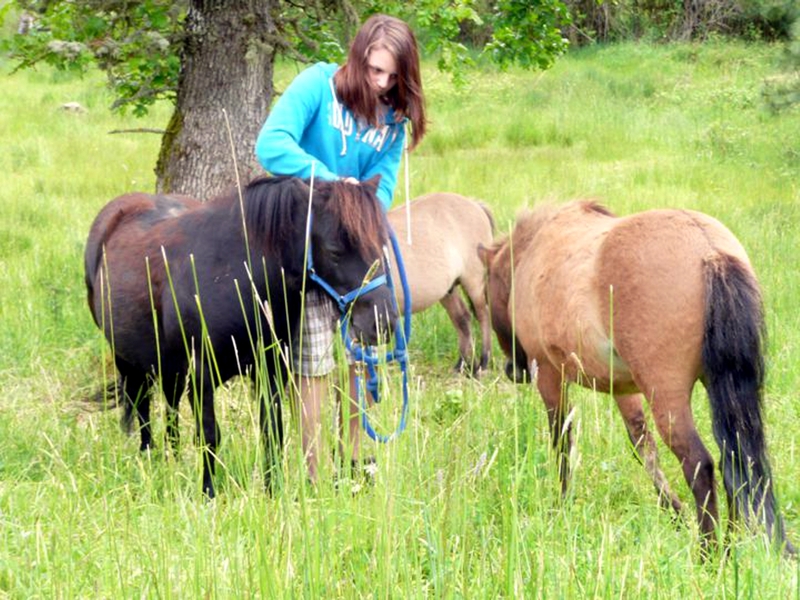 Seventeen miniature horses in their herd society provide a non-threatening teaching model in our immersion programs building skill in communication, confidence and leadership. This allows us to take on tough issues and provide opportunities to really explore and understand difficult concepts such as: Trust, Courage, Compassion, Integrity and Decision Making. Body language, the language of the horse, is the mode of communication used in our programs, resulting in more confident postures and acute communication skills. 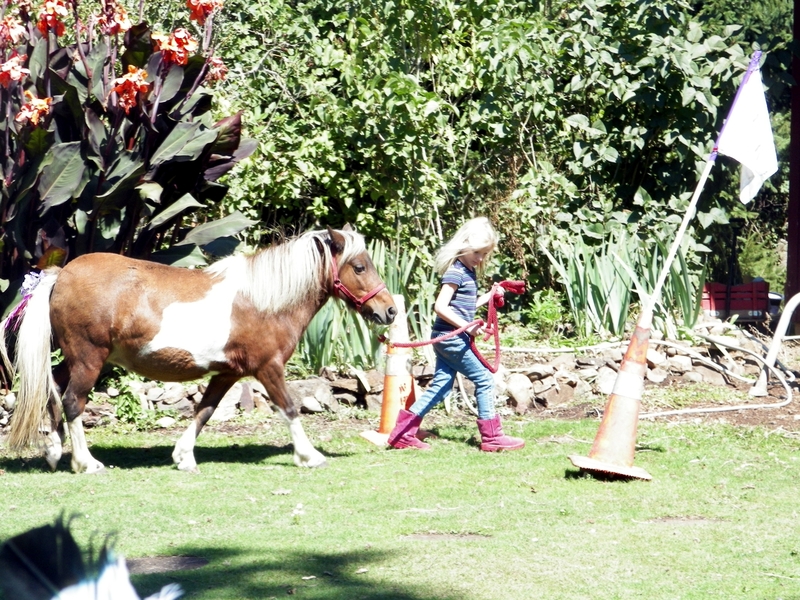 Our focus is on groundwork where miniature horses are our equal partners. It is here without fanfare that these key traits rapidly unfold in children of all ages, as they try to bring the best out in their horse partners. 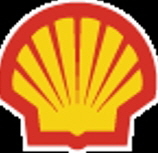 Come see what amazing things happen in very short periods of time. 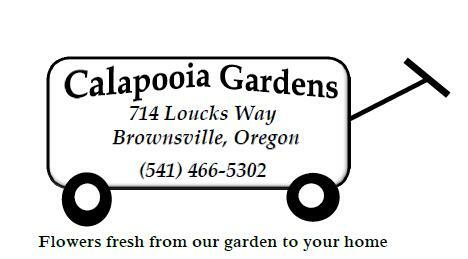 Whether you are looking for an interesting field trip, family outing, formal programs for your kids, or a friend to share some therapy time with, this pastoral setting in the beautiful foothills of the Cascade Mountains, is the place for you. 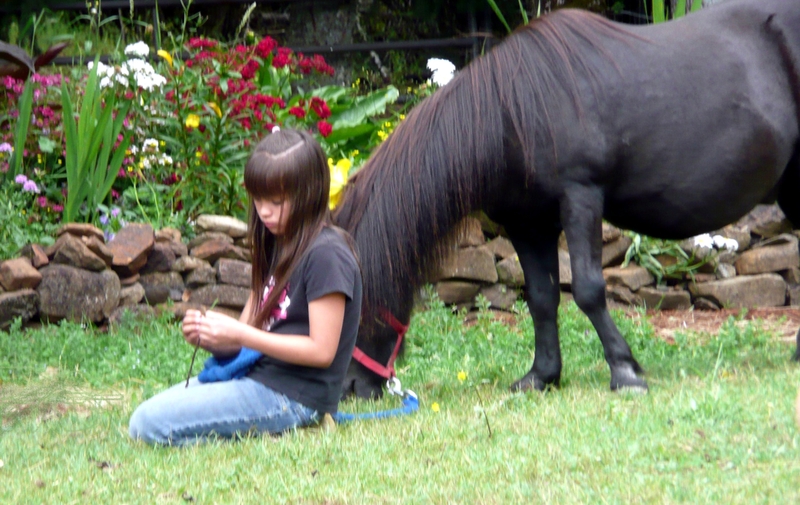 At Outside Initiatives, the horses and community youth always come first. 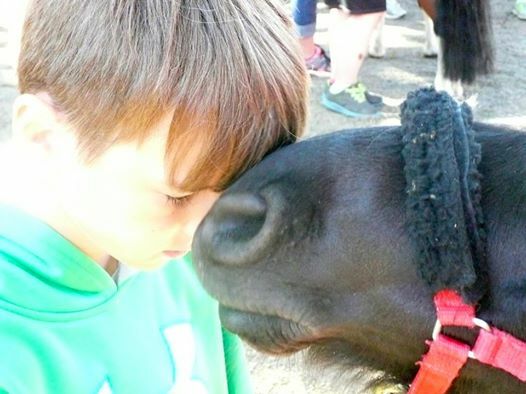 Outside Initiatives is a miniature horse-based program that enhances the health and vibrancy of our community by building good character and leadership through our programs. Our equine programs are groundwork based both in-hand and liberty and are custom-developed for community, families youth to provide opportunities in sports and athletics, therapy, academic support, school to work transition, community event resources, arts, science, career and job training, and outdoor recreation and exercise. We support research, and promoting humane treatment of horses and improved understanding of the important role horses play in nurturing healthy human lives. "This is for you susan. I used this on an application for an FFA officer position.